Home / AirAsia / AIRLINES / AIRASIA BALIK RAYA LOW FIXED FARES TO SABAH NOW AVAILABLE! 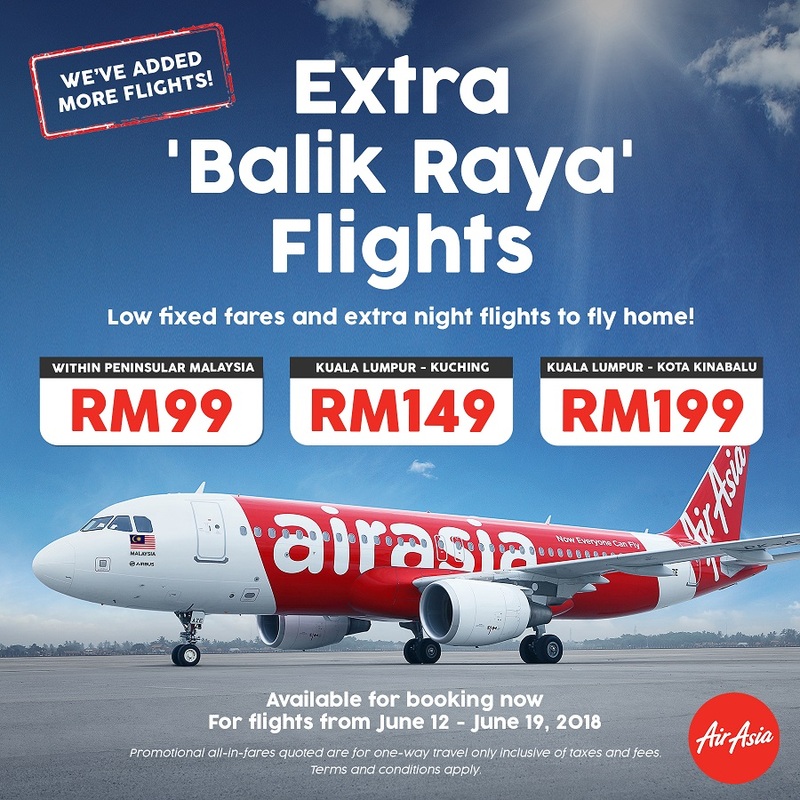 AIRASIA BALIK RAYA LOW FIXED FARES TO SABAH NOW AVAILABLE! Sabahans, we have heard your requests and we will be adding flights from Kuala Lumpur to Kota Kinabalu during the upcoming Hari Raya Aidilfitri period. Fly back for a low fixed fare of only RM199* one-way from Kuala Lumpur to Kota Kinabalu on 14 and 17 June, applicable for new bookings only and subject to availability. Guests traveling during the Hari Raya Aidilfitri period are advised to arrive at the airport earlier to avoid congestion, and to use our web check-in and mobile check-in services for maximum convenience. Web and mobile check-in services are available from 14 days before to 1 hour before the scheduled time of departure. For guests with check-in baggage, we recommend you arrive early to ensure sufficient time to drop off your baggage at the counter before proceeding to the departure gate. KLIA2 check-in counters for both International and Domestic flights will close 60 minutes before the scheduled flight departure time. *Promotional all-in-fares for one-way travel only, inclusive of taxes and fees. Terms and conditions apply. We wish everyone a safe journey for the upcoming Hari Raya Aidilfitri.